Since Hamilton fine watches are considered some of the best American timepieces ever, chances are you have at least one of them in your own collection. If not, as a vintage watch enthusiast, you should fix that immediately! 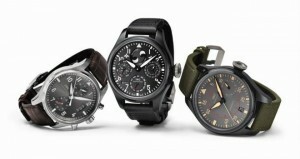 Moreover, whether you are interested in unique timepieces in the Art Deco style or prefer iconic pocket watches, this brand can offer something special to suit your taste. However, before buying used watches by Hamilton, it is important to learn what models are especially prized today. 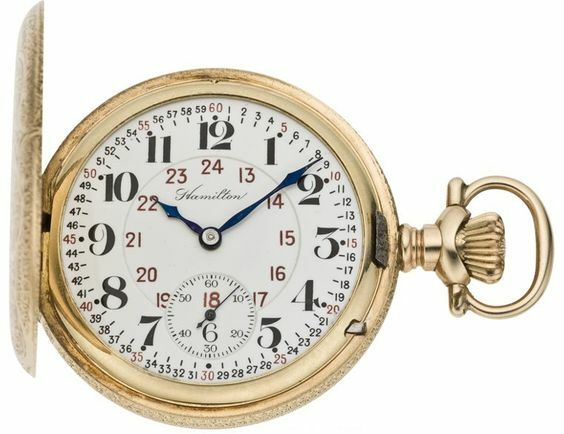 Hamilton watches produced in the 1890s – early 1900s have always been some of the most collectible. Known as railroad pocket watches, these vintage timepieces were all equipped with highly accurate in-house mechanical movements and made predominantly of gold, though silver and gold-filled models were also available. 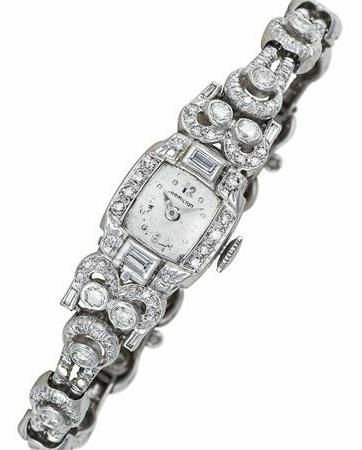 If you are interested in buying used watches in the intricate Art Deco style, Hamilton has a plenty of highly-decorative ladies models, any of which can become a gem of your collection. This is particularly true for platinum and gold timepieces decorated with diamonds and other gems. Military watches produced by Hamilton for U.S. Army and Navy personnel during World War II are also pretty collectible today. 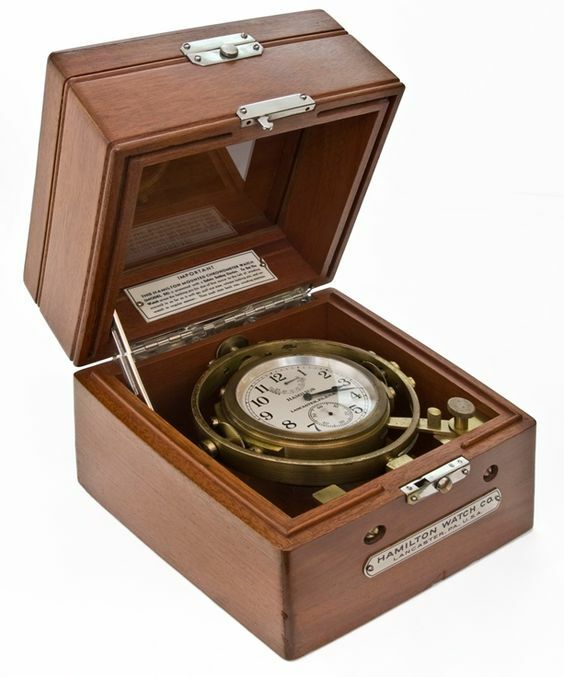 Pay your special attention to the Marine Chronometers, models 21 and 22, known for their superior precision. 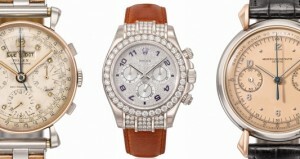 Moreover, many of these timepieces are double cased, which makes them even more attractive for collectors. 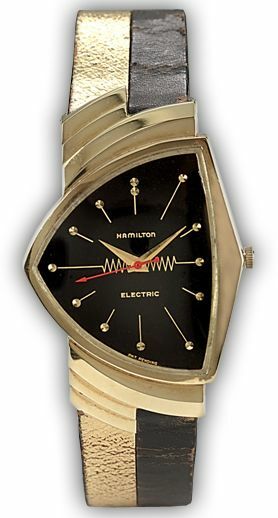 Vintage Hamilton electric-powered fine watches are some of the most iconic in the company’s collection. First released in 1957, these timepieces quickly became very popular, and they remain so today, largely due to Elvis Presley and his legendary asymmetric Hamilton Ventura luxury watch. 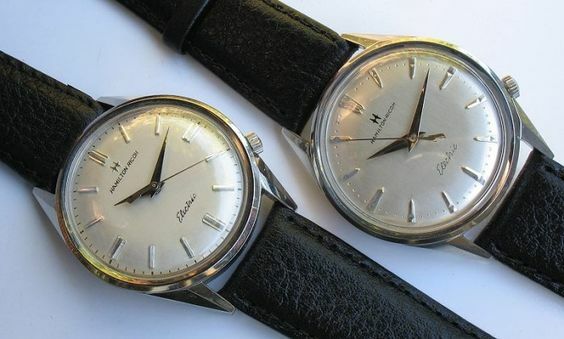 Hamilton-Ricoh watches are a result of a unique but unsuccessful collaboration between Hamilton and a Japanese watch company Ricoh, existed only between 1962 and 1964. These timepieces distinguished by their Japan-made mechanical parts are quite rare these days, which makes them highly collectible for fans of Hamilton vintage watches. Finally, it is impossible not to mention contemporary Hamilton watches available in a variety of designs and styles. While they are not as prized among connoisseurs of Haute Horlogerie as vintage Hamiltons, they are still high-quality timepieces you should consider when looking for an affordable luxury watch. Next: How Much Would You Pay for a Piece of History?